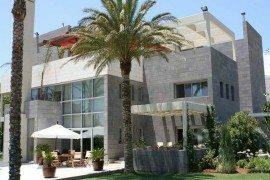 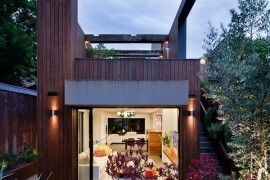 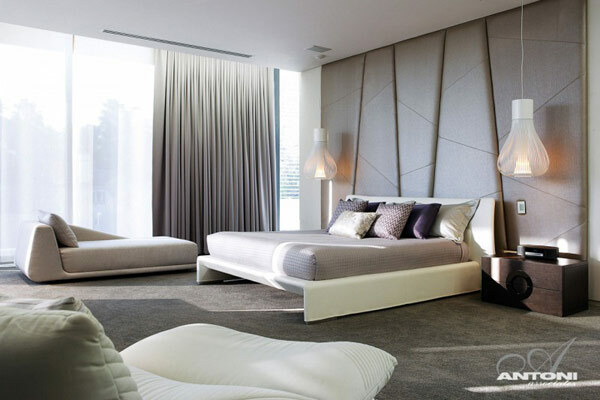 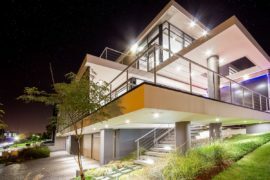 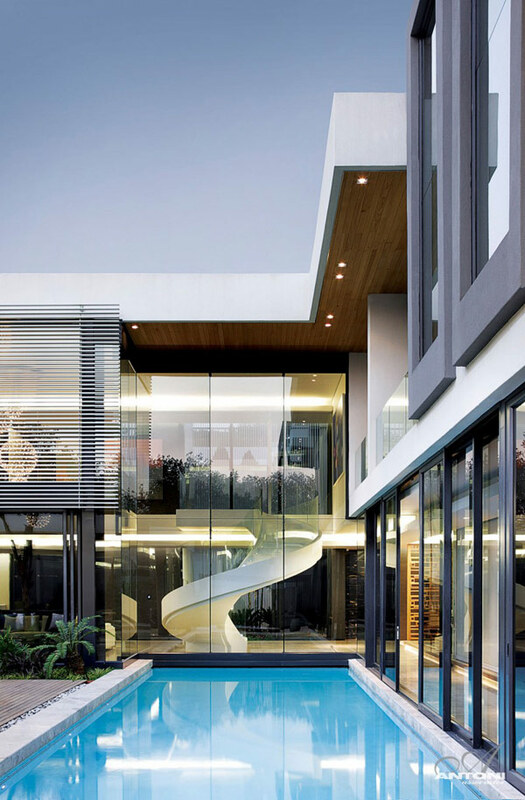 It is simply spellbinding when you see modern architects and designers pull out all the stops to create lavish homes that incorporate not just a great design, but also amazing ergonomics. 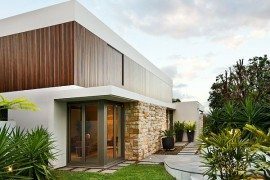 Glass, stone and wood have been pretty much the materials of choice when it comes to creating fabulous contemporary homes that range from the warm and the welcoming to the minimalistic and magical. 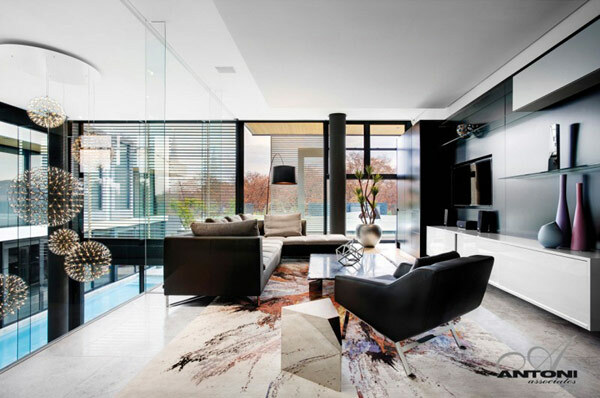 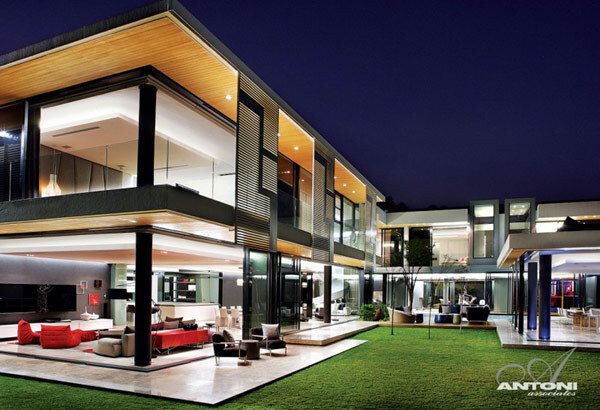 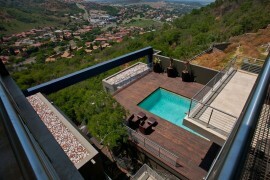 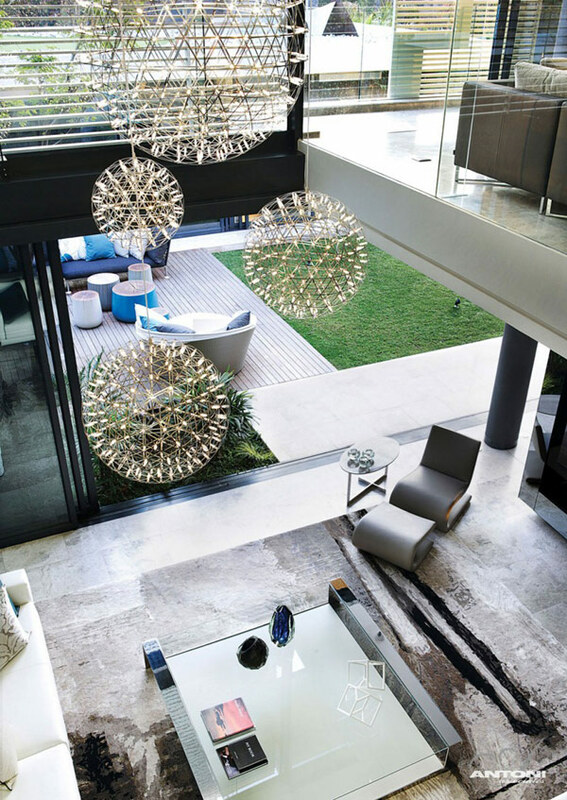 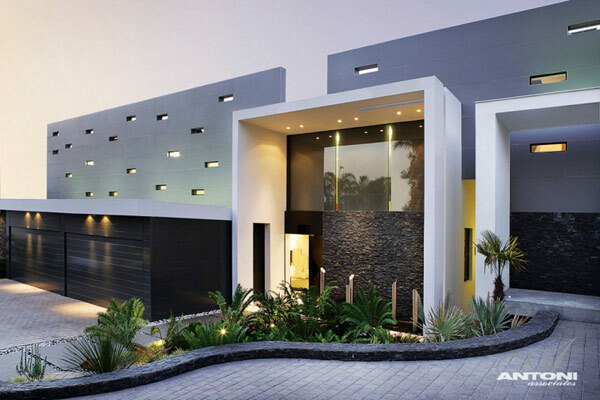 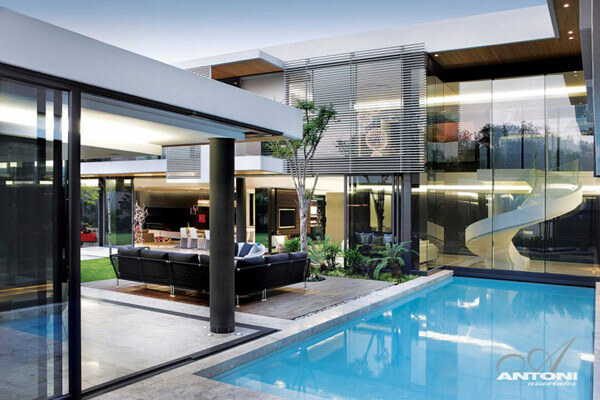 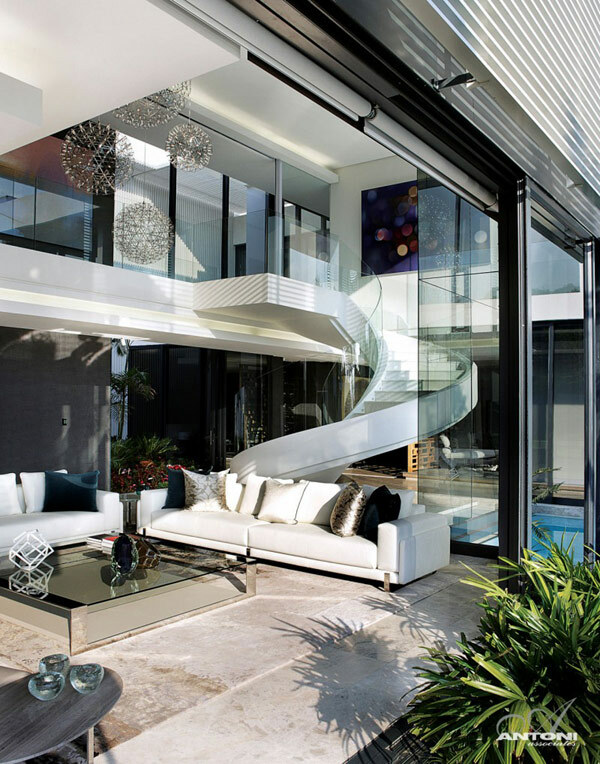 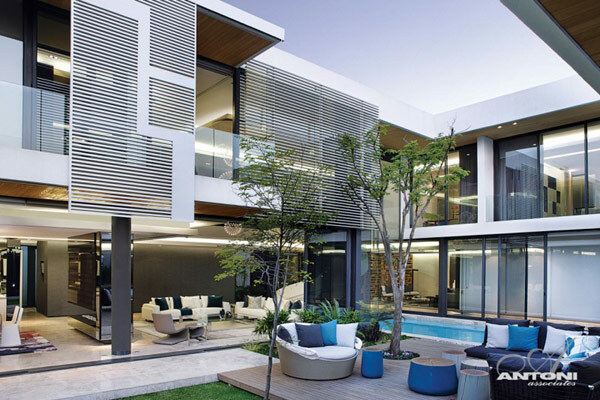 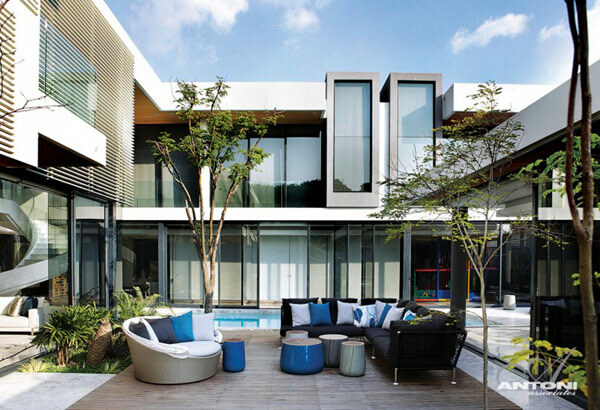 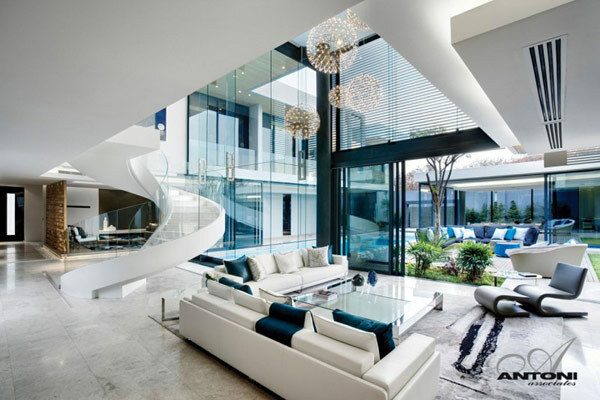 This astounding and extravagant U-shaped glass house located in Houghton, Johannesburg is all about unabated opulence. 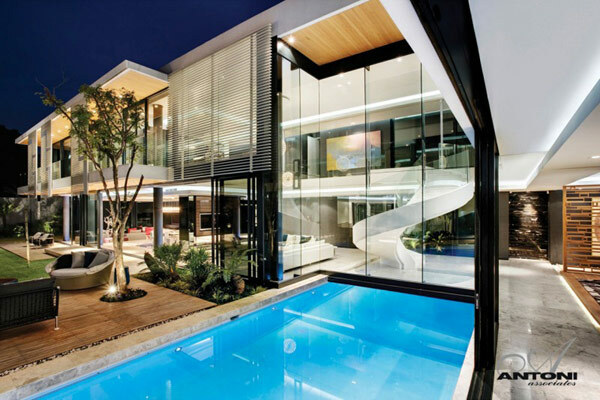 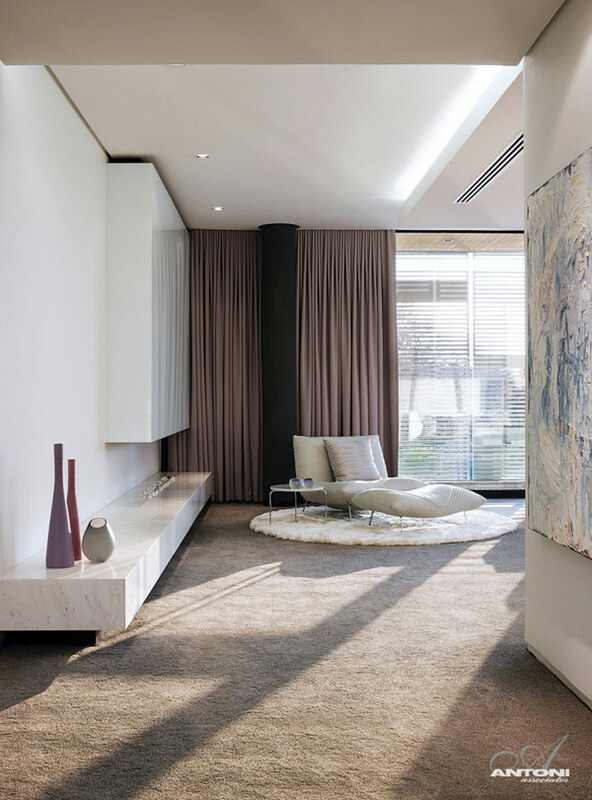 Designed by SAOTA (Stefan Antoni Olmesdahl Truen Architects) along with Antoni Associates, this home charms you with its transparent brilliance. 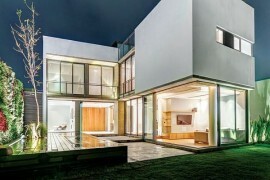 Some of the visibly distinct and fascinating features of the home include the generous use of glass, its U-shaped structure that links two separate properties using a common entrance and a cool driveway, a refreshing pool that offers a wonderful textural contrast to the surrounding glass and stone, flowing an spacious interiors clad in simple neutral shades, clean and refined lines, simple and minimalist décor and a lighting scheme that brings out the best features of the building. 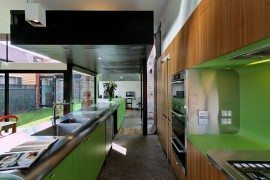 The generous use of glass has been attributed to the lush green surroundings and how the clients asked for a design that offers gorgeous views of this natural terrain. 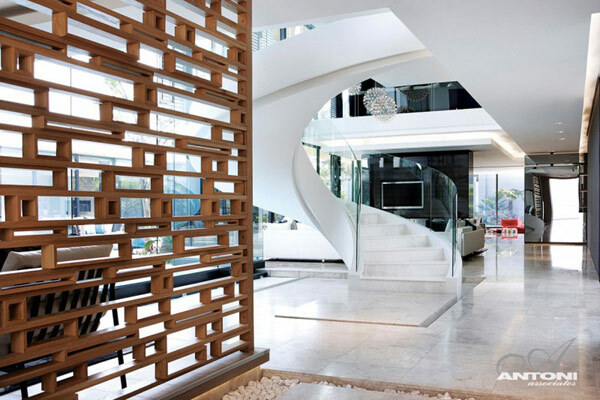 The most interesting and appealing aspect of the home though is the stunning spiral staircase at the heart of the structure, which just seems to enrich the look of the interiors several fold along with the dazzling chandeliers.